I am a senior research sde at the Data Management, Exploration and Mining (DMX) group of Microsoft Research. I received my Ph.D. and M.Sc. from the University of Massachusetts Amherst under the supervision of Prof. Gerome Miklau and Prof. Alexandra Meliou in 2017. I got my B.Sc. 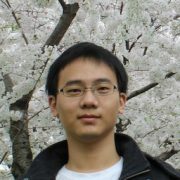 in Computer Science from Fudan University in 2011. I am interested in data mining and database management systems. My CV is here.